Stupid Seagulls - Lamplighter Brewing Co.
A crisp and floral dry-hopped pale lager. 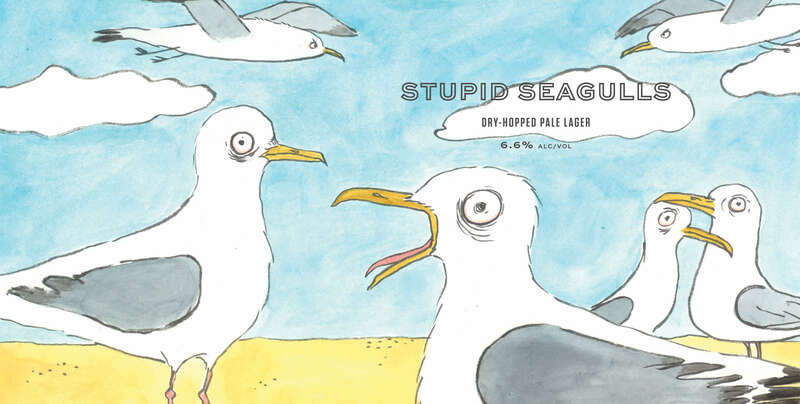 A Dry-Hopped Pale Lager, Stupid Seagulls bursts with bright notes of honeydew, hay, and citrus rind. This beer is designed to be the perfect pairing for a summer beach day (seagulls not included); it’s refreshing and easy-drinking, while still maintaining a hoppy complexity from the mid-fermentation additions of Hallertau Blanc. The result is fruity, smooth, and delightful – the perfect pairing of easy-drinking lager and crisp hop bitterness.